Windows are important for a comfortable and healthy indoor environment. In this PhD thesis the influence of windows on perceived visual comfort is investigated. Two variables play an important role: daylight and outside view. 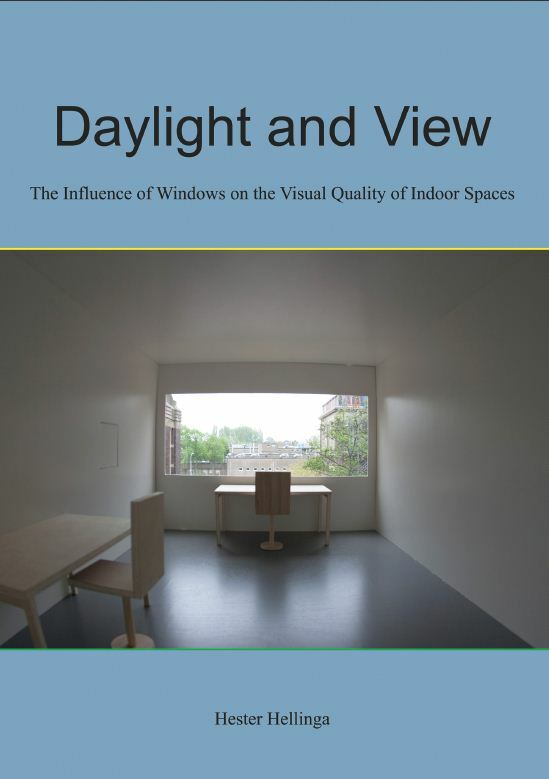 To be able to improve the visual quality of indoor spaces, one needs to have insight in how daylight and view affect the perception of an indoor space and how both variables are related. During the first phase of the research, the influence of different features of daylight and outside view on the perceived visual quality of indoor spaces is explored. This is done by means of a literature research and a questionnaire research in office buildings. The results are used to develop a method for the analysis of the daylight and view quality of windows, the D&V analysis method. It can be used by designers to optimize the design of daylight openings, and by researchers to study the influence of daylight and view on the visual quality of indoor spaces. The results of the questionnaire research give new insight into the statistical relationship between different variables influencing the visual quality of indoor spaces. By Principle Component Analysis (PCA) light and view factors are derived from the research data, which measure the perceived visual quality of a workplace. Furthermore, correlations are calculated to study the relationship between the questionnaire variables. The results show that items which are related to the daylight access and/or artificial lighting in the offices are statistically significantly correlated and that they could be combined in one factor for light quality. The results also show that daylight and view variables are correlated, which means that if someone is satisfied with the amount of daylight, there is a bigger chance that someone is also satisfied with the outside view. In order to study the influence of visual comfort on the overall perception of a workplace, subsequently, a factor is constructed that measures workplace quality. This factor includes the results of items which are related to three different topics: general impression of the workplace, possibility to concentrate, and assessment of the thermal indoor climate. The perceived light quality appeared to have a statistically significant effect on the perceived workplace quality. The perceived view quality, on the other hand, only had a small effect on perceived workplace quality. It does not necessarily mean that the view quality is not important. Another reason could be that the correlation between the daylight and view variables is that strong, that much of the variation in the outcome of the workplace factor can already be explained by the daylight variables solely. During the second phase of the research the D&V analysis method is developed. With this method a visual representation can be made of the daylight access and view through a window. Because in the literature no methods were found for the assessment of outside view, the D&V analysis method integrates existing methods for the assessment of daylight quality with a new method for the assessment of view quality. Starting point is a basic theory of how the view and daylight access through a window can be recorded or measured objectively. In three different ways a projection can be made: by a hand drawing, a computer simulation or with a camera with a fisheye lens. Many methods already exist for the assessment of daylight quality, but they consist of very different procedures. Therefore, the decision is made to transform existing daylight diagrams, in order to make them applicable to the D&V analysis method. In this way it has become possible to examine the access of daylight through a window in multiple ways with the new analysis method, without the need to construct a new model for each assessment method. The accuracy of the daylight diagrams is explored by comparing results obtained with the diagrams to computer calculations. The conclusion is drawn that the accuracy of the diagrams is acceptable and that results to not deviate more from the results of light simulation programs than the results of the different light simulation programs amongst each other. Based on the results of the literature and questionnaire research, a new method is developed for the assessment of view quality. After making a projection of the window and view through the window by following the procedure of the D&V analysis method, a series of multiple choice questions is answered. By adding the results, subsequently, a view quality score is calculated that shows if the view quality is low, medium or high. The applicability of the D&V analysis method is explored by an experiment with a scale model of an office with seven different window configurations. The results indicate that sky component, which is calculated in accordance with the new analysis method, could be a good predictor of the vertical illuminance inside the scale model. 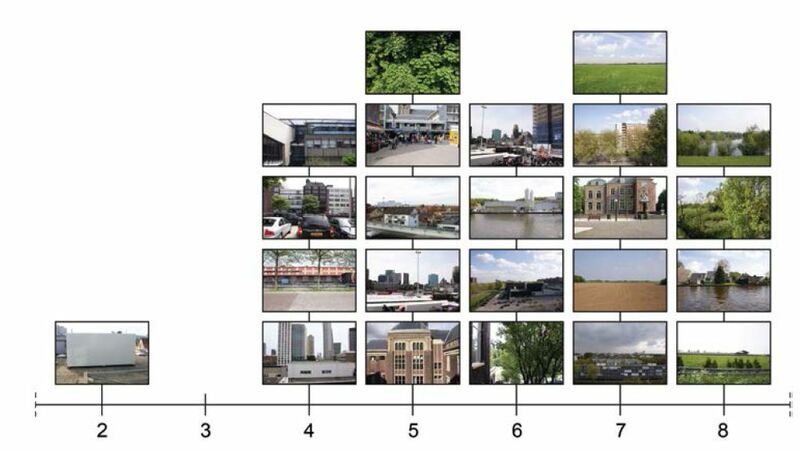 The sky component was also statistically significantly correlated with the assessment of the amount of daylight in the scale model by the participants in the research. To what extent participants in the experiment perceived glare was not related to the perceived and measured amount of daylight in the scale model, or to the different window configurations which were shown to the participants. For this reason, the amount of glare could not be predicted with the dot and sunpath diagrams. Finally, the new assessment method for view quality was found to give a good indication of the effect of different window designs on the quality of the outside view from the scale model.